Some time ago, my parents heard about something called the World Wide Web and decided that they might want to become involved in it. They contacted ‘a nice man from the church parish magazine’, who came round to the house and got them up and running with the internet, choosing the trusty Post Office as their internet provider. I didn’t even know that the Post Office did internet connections. But it does, apparently. And my mother dutifully cycles there each month to pay the bill in person. 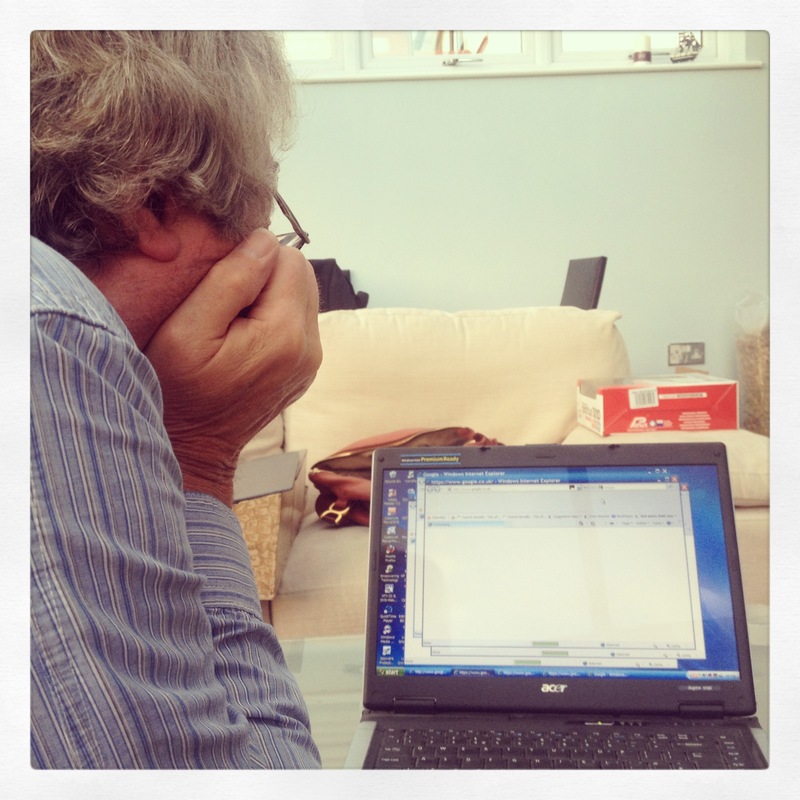 To say my parents haven’t quite got to grips with the digital age would be an understatement of gargantuan proportions. Only the other week, my mother asked me, ‘What is the difference between eBay and email?’. My mother once tried to move the cursor using the laptop’s touch pad and five minutes later, she had only just made it half way across the screen. She hasn’t been near the computer since. My father is a little more advanced. He has an email account that he checks roughly every six months. I think he once looked at our house on Google Earth. And there’s been rumours of him attempting a Google search on Bob Dylan. The other week, I visited them for the night and foolishly mooted the prospect of using the internet. My mother shook her head nervously and my father looked baffled. After a bit of a conflab, my father appeared with his dusty laptop, switched it on and told me that it might take ‘a little while’ to load up. 45 minutes later, having watched Coronation Street and drunk two cups of coffee, my father returned and peered curiously at the laptop. It was STILL loading up. He appeared to think this was perfectly normal. ‘What on earth is it doing?’ I wailed. My father stared at the desktop. ‘What is a P…D…F?’ he said. I couldn’t for the life of me think how to explain what a PDF was. We both sat there for another 10 minutes. My father occasionally peered suspiciously at the screen. All of sudden, a plethora of blank Internet Explorer screens sprang up, with the message ‘Not Responding’. ‘But why are there 10 blank screens?’ I said. There was still no sign of getting onto the internet. Alarm bells should have rung when they first mentioned the Post Office. The parents looked utterly terrified. The next morning, I drove back to Leeds and dropped the ailing laptop off at the local computer repair shop. An hour later, they phoned to confirm the worst. ‘A… hard… drive? ?’ said my father, in a bewildered tone.